Famous for its big city feel with small town charm, Geelong is an increasingly popular destination for those looking for a new place to call home. Offering diverse living to suit those seeking inner city, coastal, suburban or rural opportunities, Geelong really does cater to all. Ray White Geelong enjoys a high-profile location in an historic building in the centre of town. 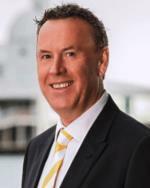 Specialising in residential sales and property management our vision at Ray White Geelong is to become the most recognised real estate agency, not through size but by reputation for outstanding marketing and unsurpassed quality and dedication to service. Our franchise network has a strong understanding of the local market, extensive knowledge of what buyers and vendors need and a passion to see communities that we operate in flourish. We are just wanting to thank PRDnationwide Geelong for the successful sale of our home, In particular Peter Fort who kept us informed with inspections and feedback throughout the marketing of our property. We would have no hesitation in recommending Peter and PRD to anyone thinking of selling. Many thanks for all your assistance in selling our home. we felt like we were in very good hands - professional, prompt and your friendly manner kept us calm. We were very happy with the end result in what was a difficult market. The consistently positive and open communication, The advertising presentation of our property was excellent but ultimately your skill as an Auctioneer created a great result.